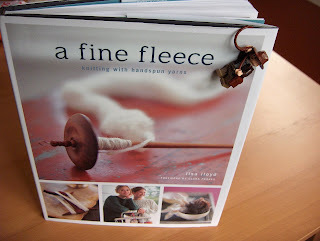 Each of the 26 patterns in this book is shown knitted in both a handspun yarn and a commercial yarn. After browsing through this book I'd like to make most of the 26 patterns. The question now is which one do I start with. Except for a few lacy scarves the sweaters and cardigans are gorgeous cabled knits. Perfect for this miserable Illinois weather. I'm a little cranky this morning. It's a Monday. My husband is home on a sick day. My oldest son has attitude like he's 17. It's SNOWING!!! 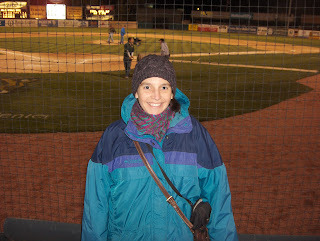 We headed to a Class A baseball game Saturday. It was a great opportunity to wear some hand knits as it was 45 degrees with 30 mph wind. Illinois weather is making me cranky. Well we went to knit along with her but Mother Nature had other plans. Hopefully she will make her way back to Chicagoland this spring. our little Hybrid car. 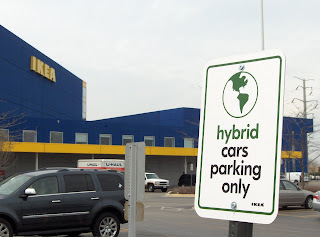 Yesterday at Ikea, I parked in a hybrid only parking space right near the front door. Sweet! Do you remember a time when you knew your neighbors by name? When you'd be baking and needed just a bit more brown sugar for the cookies you'd already started so you headed next door to "borrow" just a little? I live in a mixed neighborhood of month to month renters and old timers who moved in 60 years ago. Yesterday I met one of those old timers and it was so overwhelmingly warming to get to know them. 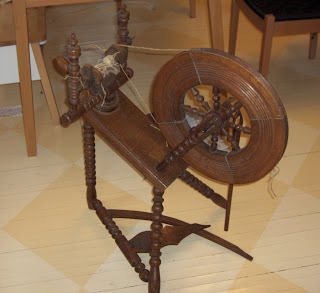 I had a main piece from the spinning wheel that needed repaired so I walked over to a neighbor's house to get his expert opinion on how to proceed. 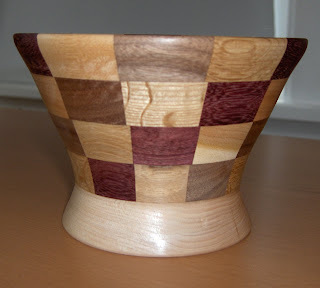 This gentleman has been a wood worker all his life and woodworking continues to be his passion. He gave us a tour of his workshop and showed us the many items he has made. The amount of time and effort spent on each piece was breath taking. Before we left he had my kids each pick out an item that caught their eye. He was pretty insistent that we weren't going to leave empty handed. 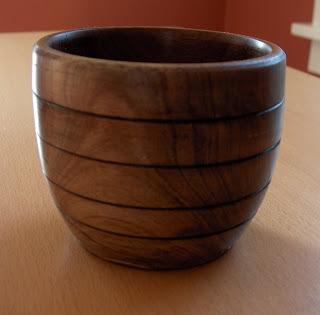 Chance picked out a walnut, hand turned bowl that is beautiful. 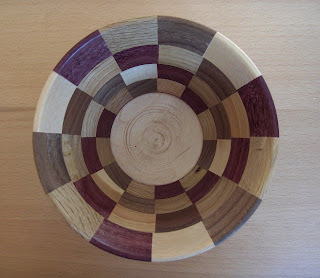 Finn picked out a gorgeous bowl made of four different types of wood. In the craziness that exists in our world today, it's comforting to discover such welcoming and friendly individuals. All I needed to do was make the first step and say hello. Thanks to all the well wishes for myself and my family. In 35 years, I have lived only 1 of those without a dog in my life. Husband has a bet that I can't make it through the summer without rescuing another furry friend. A couple of months ago I joined our local Freecycle group. It's a place to recycle items within a community in order to keep usable items out of our landfills. I posted a want ad last week for a spinning wheel. I figured there may be a chance someone had a wheel sitting around and wasn't using it. A day later I received a message from an individual that had acquired a wheel from his father but had never set it up. I went to pick it up on Saturday and this is how it all pieced together. It needs alot of work to get it up and running. I don't think I'm up for restoring this one to it's original beauty but it sure was nice of this freecycler to give me a shot at piecing it together. I'm headed up to a fiber fair on Saturday to hopefully gain more knowledge on wheels and spinning. You can never have too many hobbies, right? 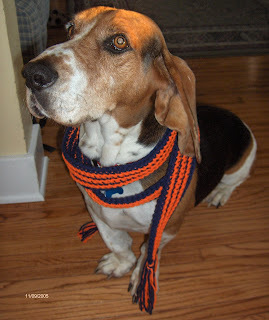 It's a bit sad in our house today as our sweet basset passed away early this morning. He fell ill about a month ago and all tests showed liver failure. He was such an active dog so it was hard to see him get so sick. He was always under foot to go for a walk or a car ride. He'd be right by you when you sat down for a quick pet behind those long floppy ears. I listened to episode 62 of CastOn over a week ago. She suggested creating a journey for your knitting. How great it would be to have a huge chunk of traveling time dedicated to my knitting. Our road trips are usually not an opportunity for me to get any knitting done as I'm the chauffeur. Sure cross country airline trips are time efficient(usually about 4 hours from O'Hare). I'm never sure which part of my knitting bag will make it through security and airfares for a family of 4 would eat up most of our travel budget for the year. Today I booked a cross country Amtrak trip. It cost $188 per person round trip and the time schedule says it will take 44 hours. What a fantastic opportunity to cast on. I will have 4 days of knitting opportunity. I can't wait! Even at my old age I end up learning lessons the hard way. Magknits, one of the websites I have looked forward to checking regularly has decided to shut down. If only I had saved or printed out all these patterns and not assumed they would be available forever. Darn it! So I'm not going to assume my other favorite site Ravelry will be here forever without donations. If you're already a user think about donating this month through RavelRaiser ‘08. You can take part here but you’ll have to be a Ravelry member to get there. There's tons of wonderful raffle prizes to be given away May 2. You get 1 raffle entry per $10 donation. 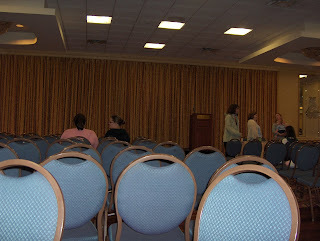 Thankfully lots of the designers from Magknits are uploading their patterns for free pdf downloads through Ravelry. What would my knitting life be without the internet? Today it felt like spring, 65 degrees and sunny. Just absolutely beautiful. 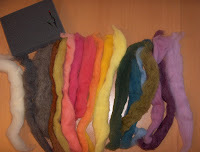 My son and I headed to Esther's Place-Fiber Art studio to take a hands on class with needle felting. I had no interest in taking this "class" but any excuse to surround myself with fiber I'm there. He really had a great experience and came home with more fiber to play with. 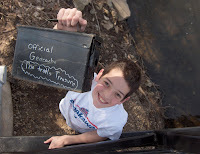 We came home, picked up the other members in our family, and headed outside to do our first geocaching of the year. We found 3 different hidden caches at NIU campus. 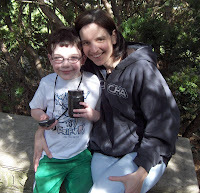 I found the first cache in an area known for the "kissing bench". Here I am sitting on the big stone bench that is located right under a heart shaped tree. Our second find for the afternoon was titled The Trolls Treasure which we found underneath one of the walking bridges around the lagoon. Here's my eldest so proud of his find. It felt so good to leisurely stroll around in the beautiful spring weather. You may think the reason my posts are few and far between is because I haven't had anything to post about. No, my friends the reason I don't post often is due to lack of time. In my knitting life I usually get about 2 rows completed a day. With 8 projects in progress that means I haven't made progress on any of these. I've realized first hand about the "boyfriend" sweater. Husband asks several times a week if it's done yet. Let me see with the schooling, errands, several PT appointments per week, house work, and my Etsy shop-- NO YOUR FREAKIN' SWEATER ISN'T FINISHED! Over on Ravelry, the Malabrigo junkies group declared March-Malabrigo March. 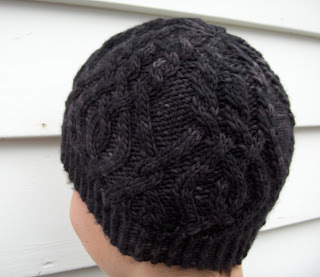 I cast on a new pattern, Interlocking cable hat. I chose the Totuga colorway from Malabrigo and it worked up in a day. It's so soft and warm around my ears and it's not a WIP. The ends are woven in and it's in use as I write this. Have you noticed that right now we're in a GO GREEN phase. Our local library received a grant for several "green" programs. I attended a start to spin session from a local fiber arts studio established to promote Illinois-produced fiber. I brought home a spindle and 4 oz of roving from the Illinois Green Pastures Fiber Co-Op. Sweet!!! 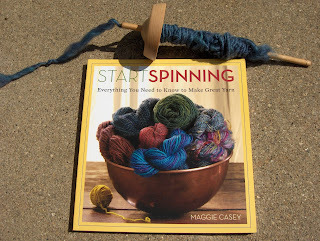 Today I received a new book that will hopefully help me turn my "very unique" hand spun yarn into not so "unique" yarn that I can actually knit up.